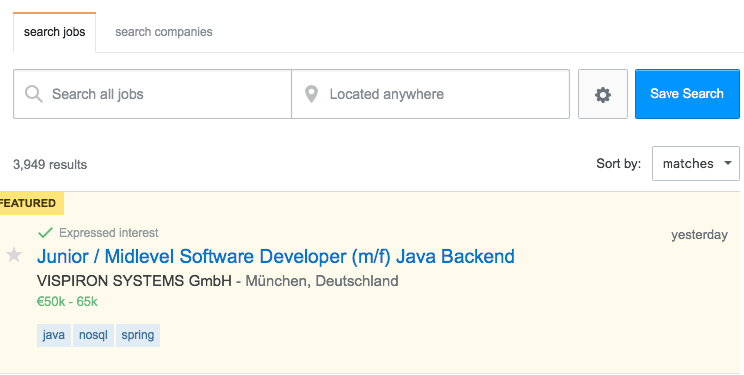 I've checked some jobs on Stack Overflow where I pressed the "Express interest" button. There was an popup where it was possible to undo that action. So how it is possible after the popup isn't visible anymore to undo that? I've already made some researches but I haven't found a solution. I've just found out where I find the messages area for jobs. We were processing Undos correctly, but we were still showing the indicator on the jobs where interest was withdrawn. I've deployed a fix, so this should no longer be an issue. Thanks again for helping us get this fixed!